Pizzeria Topolino has the perfect seafront location. As you dine in the outdoor terrace of this restaurant, you have beautiful picture perfect views of the gorgeous coastline. 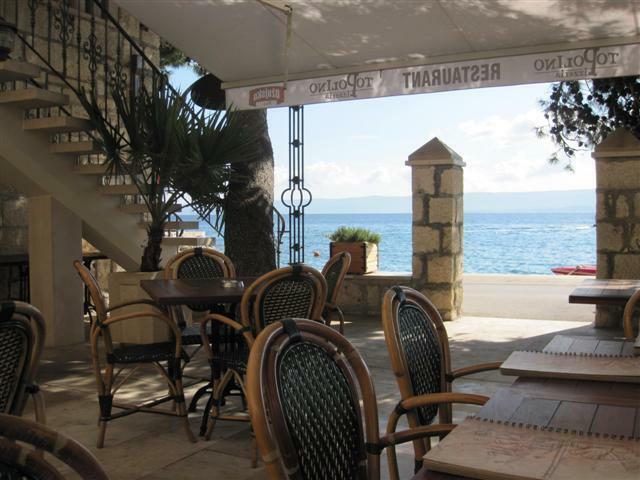 A lot of time could easily be spent relaxing at this restaurant, enjoying the views. 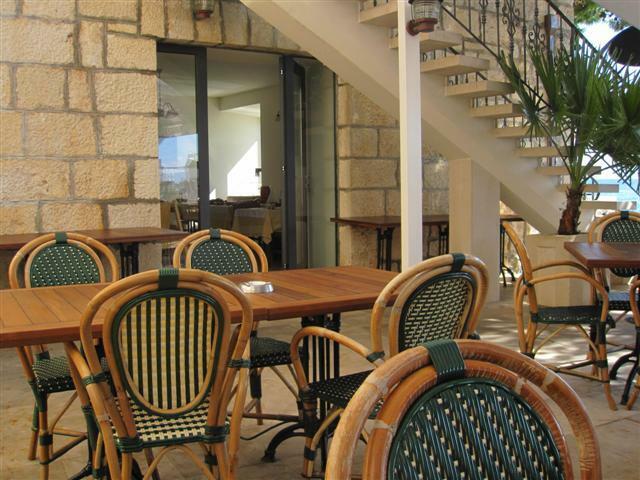 The outdoor dining area is fairly big with the wood fired oven at one end and the chef preparing the pizzas next to it. 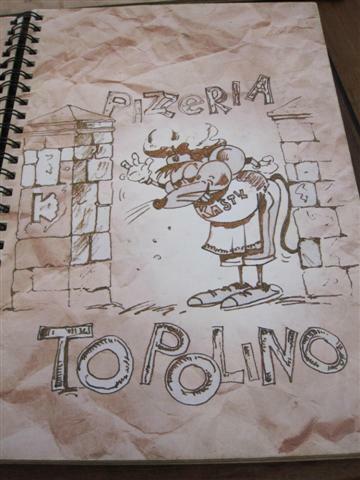 Pizzeria Topolino did have lots of pages to its menu; it was like a booklet. But after seeing the wood fired oven, my attention went straight to the pizza page. 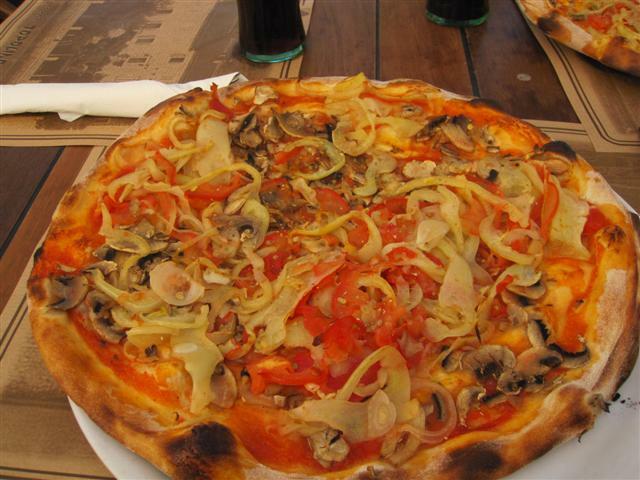 The vegetarian pizza was huge and was topped with lots of sliced onions, tomatoes and some mushrooms. I had requested it without any cheese. The pizza base was crispy and fresh. The waiter was friendly and we received lovely service at this restaurant. There was cheesy music playing in the background. 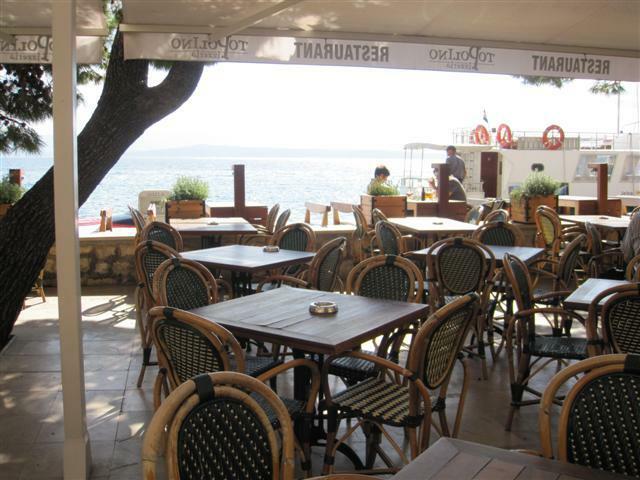 Pizzeria Topolino is a fantastic pizza place to go to on the island of Brac.